WITH COLLECTOR'S EDITION BEER RELEASE "PROFIT MOTIVE"
Pursuit of Craft Beer Excellence with the Limited-Edition Release of "Profit Motive"
Clifton Park, NY -- Friday, August 3, 2018 -- Shmaltz Brewing Company goes to the official Star Trek Las Vegas Convention 2018 with a unique Collector's Edition release commemorating the 25th Anniversary of Star Trek: Deep Space Nine. 2018 marks 25 years since Star Trek: Deep Space Nine premiered in 1993, and Shmaltz Brewing kicks off the anniversary festivities in Las Vegas with tasting opportunities at The Rio Suites Hotel and Millennium Fandom Bar from August 3-5, 2018. CBS Studios has teamed up with Shmaltz for the only officially licensed Star Trek beers in the United States. In 2016, Shmaltz debuted two critically acclaimed Star Trek Golden Anniversary Ales to celebrate the 50th Anniversary of the iconic franchise, Star Trek. 2017 brought quadruple the excitement commemorating the 30th Anniversary of Star Trek: The Next Generation with four limited edition Star Trek specialty beers under license by CBS Consumer Products: Star Trek Klingon Imperial Porter® (7.3% ABV), Star Trek Symbiosis® (5.5% ABV), Star Trek Captain's Holiday (5.5% ABV), and Star Trek Mirror Universe (5% ABV). 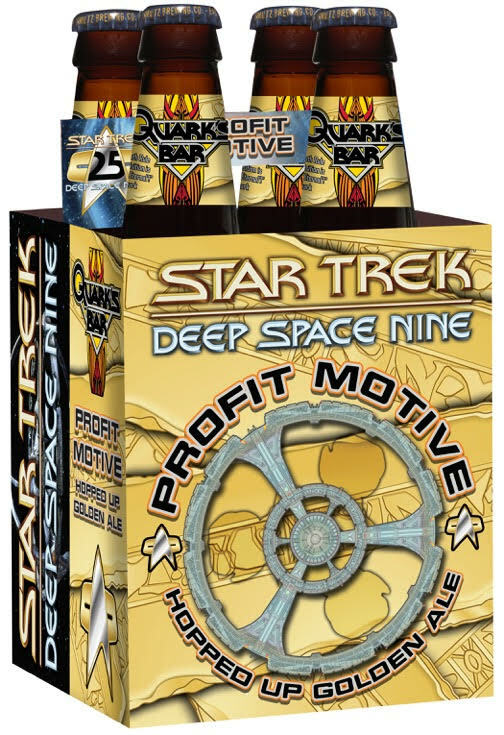 In August 2018, the latest offering Star Trek Profit Motive transports itself in 4-packs to retail outlets and will be available on draft at select bars in 30 states across the country through Shmaltz's new national sales relationship with Artisanal Imports. 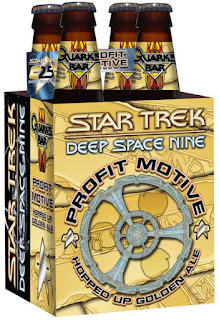 Star Trek: Deep Space Nine 25th Anniversary Ale -- Profit Motive Quark's Bar, Grill, Gaming House and Holosuite Arcade is the central attraction of Deep Space 9's Promenade, offering drink, food, gossip, gambling, and fantasy fulfillment. Quark, the establishment's proprietor, is a Ferengi entrepreneur and sometimes petty criminal who conducts all his business in gold pressed latinum. Quark, like all Ferengi, is motivated by profit and piling up strips, bars and bricks of latinum. Founder and owner Jeremy Cowan established Shmaltz Brewing in San Francisco in 1996. The first 100 cases of He'brew Beer® were hand-bottled and delivered throughout the Bay Area from the back of his Grandmother's Volvo. Shmaltz Brewing now sells He'brew Beer across 30 states, through 40 wholesalers and in nearly 5,000 retailers. After 17 years of being an outspoken cheerleader for contract brewing, Cowan and staff opened their own New York State production brewery in 2013 in Clifton Park, 10 minutes north of Albany. Shmaltz's home boasts a 50-barrel brewhouse with 30,000 barrels of annual capacity and packages a diverse and tasty variety of core and seasonal favorites in 12 and 22-ounce bottles and kegs. The Shmaltz Tasting Room is open six days a week (Tues-Sun) and offers tours, barrel-aged previews, beer to- go, and special releases. RateBeer.com ranked Shmaltz as one of the "Top 100 Brewers in the World" in 2013, and the brewery recently brought home 1 platinum, 10 gold and 6 silver medals from the World Beer Championships.